Don’t be fooled into believing digital transformation (DX) can justify your bucket list of technology innovations. As a way to support DX, technologies such as containers, microservices and edge networking – The New Stack’s coverage sweet spot – are each only a priority at about 37 percent of organizations, according to a just-released report by The Economist Intelligence Unit and sponsored by BMC Software. In this survey of both IT and non-IT executives, data analytics capabilities were believed to be the top enabler of DX according to three quarters of respondents. Interestingly, 65 percent said they’re moving to a cloud/multicloud infrastructure, but it appears this refers to a general migration to the cloud as opposed to something more exciting. Also, don’t be fooled into believing the relationship between IT and the rest of the company is broken. It is natural that business units have different priorities. DX efforts are often led by the CEO or board so that they can balance the spending priorities of different business functions. Source: Unpublished appendix from an Economist Intelligence Unit / BMC report. The IT department and the rest of the company don’t always see eye-to-eye, but everyone agrees that achieving greater operational efficiency is a top priority for DX. Non-IT believes producing revenue and reducing costs are primary priorities for digital transformation, while those are only secondary concerns for IT. In contrast, IT is more interested in integration, security, and maintaining system resilience. 78 percent are satisfied with the level of cooperation between IT and non-IT heads as they work on digital transformation. The IT department is often looked at as more conservative than application development, and CIOs often are pushing innovation through centers of excellence and incubators. Yet, according IDG’s “2019 State of the CIO,” heads of IT are 56 percent less likely to say CIOs are responsible for innovation as compared to line-of-business (LOB) executives. A quarter of LOB respondents said project management is the CIO’s digital business role, which is almost three times the percentage of IT that think likewise. That does not mean innovation itself has become less important. In fact, Vanson Bourne‘s “2019 State of Enterprise IT” report found that compared to last year, IT is more likely to be driving innovation and less likely to running customer-facing projects. Although that report believes IT is regaining control of digital transformation, we believe another reason for this finding is that they interviewed fewer CIOs than CTOs. The degree to which IT and other business units cooperate with each other does not seem to be a high-level problem, as 90 percent of the Economist study’s respondents say that division heads often work with the IT department on digital transformation. Furthermore, 78 percent say they are at least very satisfied with this level of cooperation. Still, collaboration also creates frustration with bureaucracy. The top two DX challenges are 1) the time it takes to implement decisions and 2) internal resistance to change. A notable problem area is IT’s procurement process; two-thirds of respondents said IT systems and solutions purchased and used to help achieve a digital transformation objective often don’t go through a procurement process led by the IT department. 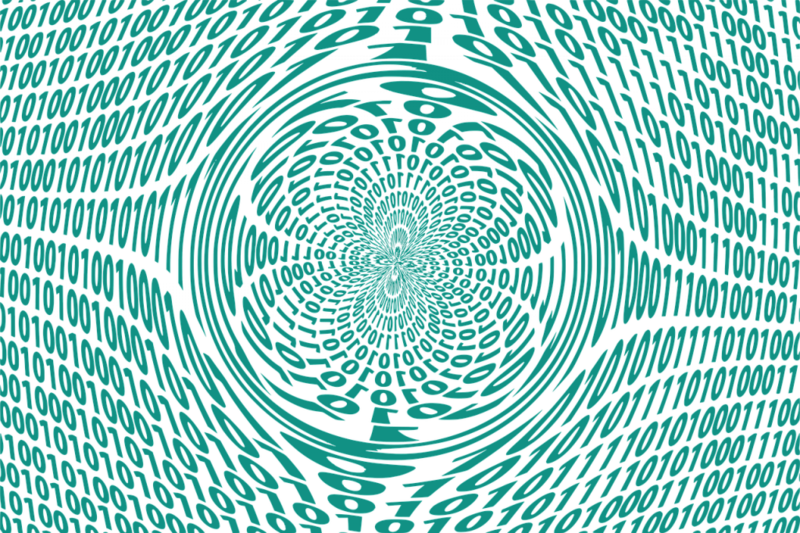 Going around IT can cause problems. 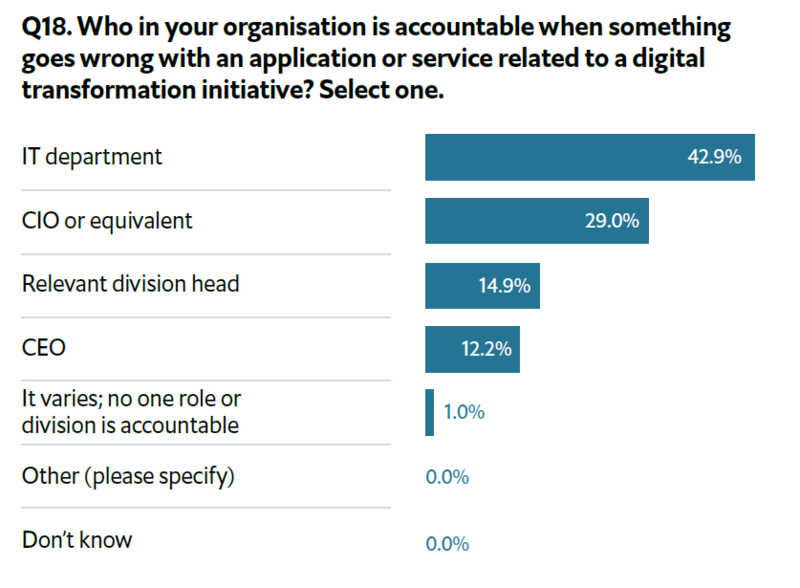 For example, 43 percent of respondents said that the IT department is the group most likely to be held accountable when something goes wrong with the application or service being used for DX. To state the obvious, if IT needs some level of control as a stakeholder if they are going to the group that faces the consequences if digital transformation fails. On the flip side, teamwork has its benefits. 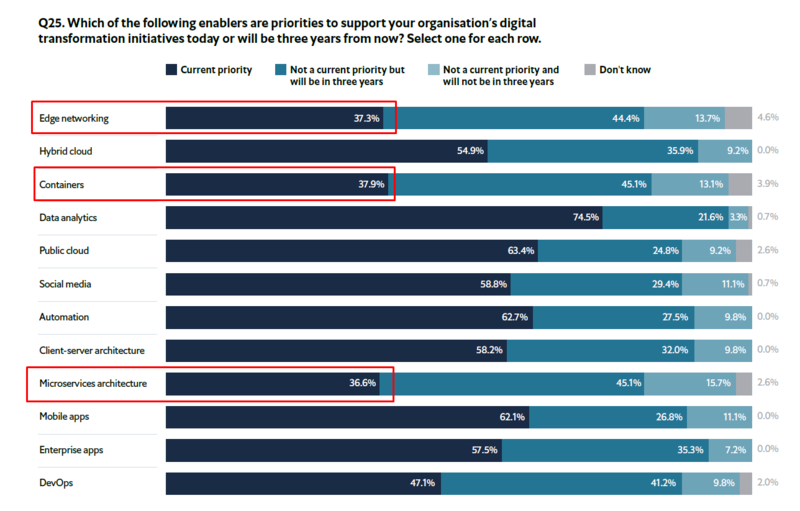 Organizations that have strong IT and non-IT department collaboration were three times as likely than everyone else (35 percent vs. 12 percent) to be extremely confident their DX challenges will be overcome in the next three years.